﻿ Best Price on Atlantic Beach Hotel in San Juan + Reviews! 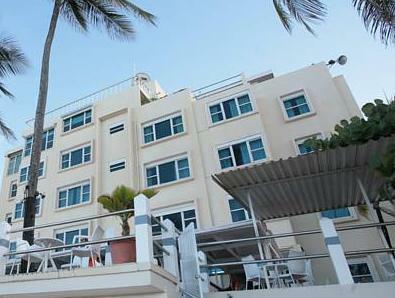 This hotel is located on Condado Beach in San Juan, Puerto Rico. It offers a 24-hour reception and air-conditioned rooms. 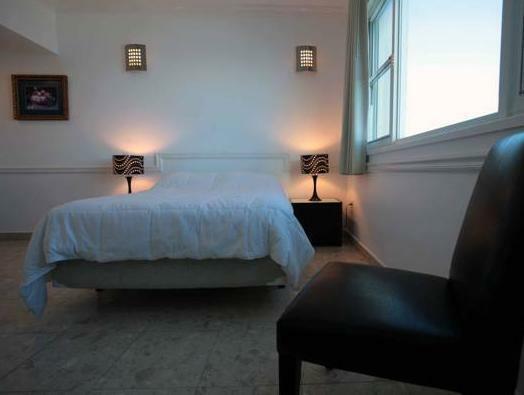 The rooms at the Atlantic Beach Hotel feature tiled floors and minimalist décor. Each one has a private bathroom and many rooms have sea views. Old San Juan and Puerto Rico Convention Center are a 7-minute drive from the hotel. You can drive to El Yunque Forest in around 45 minutes, and Isla Verde Airport is 8 minutes away. Please note, To register, valid/current U.S.A. government issued photo ID's are required at check-in. Passport required for non U.S.A. residents. Air conditioning is centrally controlled and functions for the whole floor. Guests are required to show a photo ID and credit card upon check-in. Please note that all Special Requests are subject to availability and additional charges may apply. A damage deposit of USD 50 is required on arrival. This will be collected by credit card. You should be reimbursed within 7 days of check-out. Your deposit will be refunded in full by credit card, subject to an inspection of the property. We only stayed for one night, so we didn't get to really experience the hotel too much, but the best part about it was the location. Right on the beach, and the breakfast in the bar below was pretty decent as well. As others have mentioned the AC is not the best. It's a old building, so there is no way to control the AC. I wish they would just easily install some slide adjusting covers on the vent so we could adjust the amount ourselves. It wasn't long enough! The air conditioning in the room was way to cold with no way to adjust it. We ended up putting a towel over it and opened up the windows to even out the temp. In the summer months maybe the air conditioning would be appreciated but in Jan it was way to cold! The stay was acceptable, but not exceptional. The room was way too cold from the air conditioning pumping through the entire floor. I did get an extra blanket, but i'm pretty sure I developed a cough and eventual loss of voice from the room environment. If I was to go back to the area I would try to book another option. The free wifi did work and that was a nice bonus. Extremely poor, the staff is a total vindictive, unprofessional and manner less , it's said as LGBT hotel but in my opinion, this hotel just take advantage on LGBT customers. It's not worth of your $$$. wouldnt return as air conditioner was too cold and affected my sleep - so did the noise from the bar outside. If you are going to stay here, make sure you stay on level 4. This would have been a great hotel if it wasnt for the fact that we almost froze from the air conditioning. I am not over-exaggerating either. We were on the 2nd floor and had an infant with us. We had to bundle him up so only his mouth and nose were not covered. We aso had to sleep with the windows open just to expel some of the cold air. When I requested the air conditioning to be turned down I was told that it was central and that only the hotel owner/manager could change it - so was the colderst night in what should have been a tropical stay. Wouldnt go back. The room I book from this site was basically a closet. Luckily I was just looking for a place to crash after my long flight so I didn't minnd plus the bed was very comfy. I did walk passed a seaview room that was getting cleaned and they looked better. The building and decor is old an outdated. I really enjoyed the food at the restuarant. Its high quality for the area. There are good drink specials after 5pm. Even after I left the hotel to meet up with the rest of my traveling group, we came back to this beach bar to eat and drink because of the good food, drinks and beautiful beach view. The room was small, and the window was facing two large boxes, so we had no view at all. But we enjoyed the stay anyways. There was black spots on the ceiling in the bathroom and the air condition in the hall way was loud. A nice lobby area with free wifi and a nice windy bar, which was perfect location/view for the breakfast.